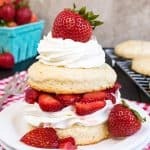 Strawberry shortcakes are one of the most loved desserts in summer. Want to take that classic recipe to a new level? Add coconut and Oreo cookies and watch everyone dig in. 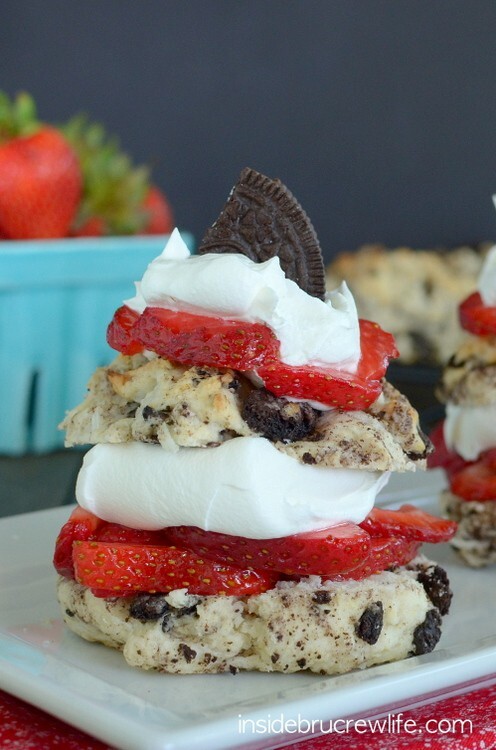 These Coconut Oreo Strawberry Shortcakes will be the hit of any picnic. 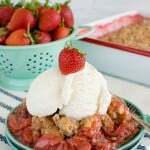 Strawberry shortcake is one of those summer desserts that makes just about everyone smile. Well, unless you are an alien or something. Sweet biscuits topped with strawberries and Cool Whip…and milk. Yes, I just said milk. Now don’t get me wrong. I’m not drowning my shortcakes in milk, just drizzling some over the top to soften them up a little. Show me your hands if you like to add milk to the top of your shortcake stack. Ok, wait I can’t see your hands…you will have to leave me a comment if you are a milk fan too! Last week we had an end of the year soccer party for our youngest son. They decided on a pool party and picnic with everyone pitching in with sides and desserts. 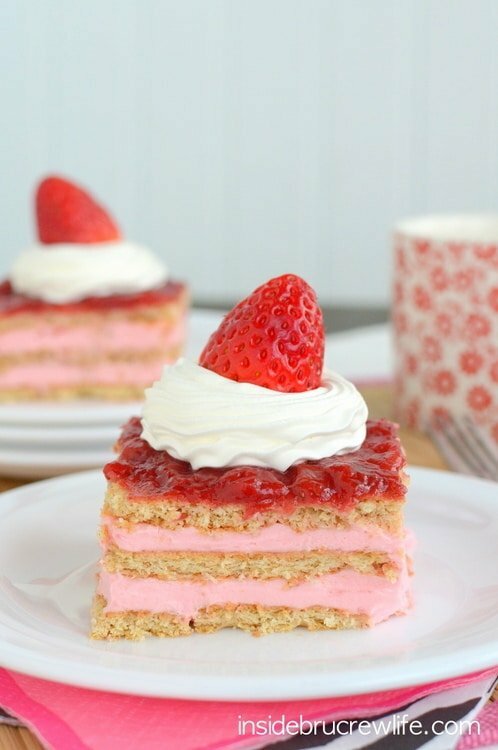 Since I know that National Strawberry Shortcake Day was coming up, (June 14th for anyone who cares) I had shortcake on my brain. Not to mention that we had just bought quite a few boxes of strawberries during a great sale. Veggie Salad and Strawberry Shortcakes it is! Now since I have this crazy baking mind that always insists I change things up in recipes, you knew that regular shortcake wasn’t going to cut it, right? You are going to use the shortcakes recipe from the back of the BisQuick box. 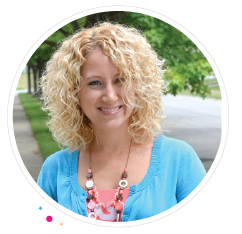 If you are feeling super ambitious, go ahead and make your own from scratch. But I like to keep things simple around here, so I love using baking mixes. To give these shortcakes a tropical twist, add coconut milk and shredded coconut. Then for even more fun, add chopped up Oreo cookies. Best. Idea. Ever!!!! 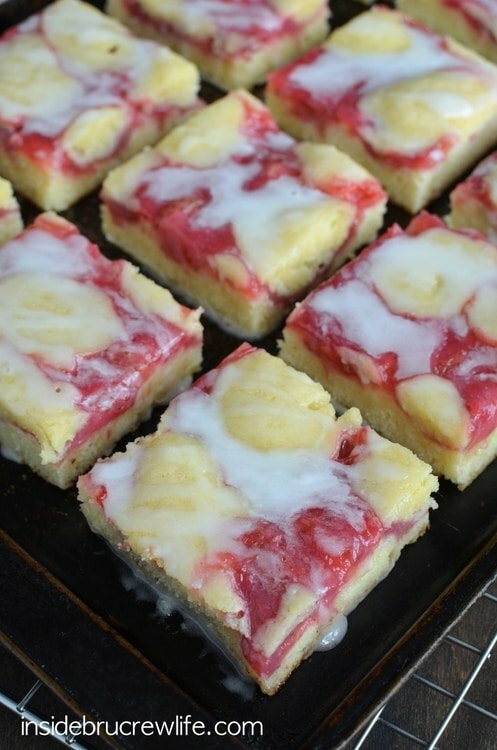 Cookies, strawberries, and coconut…I’m drooling just remembering how good these were. Another great thing about these shortcakes is the coconut milk. 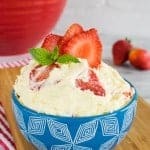 Anyone who has a milk or dairy allergy will be able to enjoy these delicious shortcakes with you. 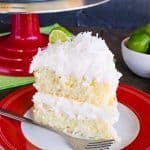 If you are not a big coconut fan, you can leave out the shredded coconut, but go ahead and keep the coconut milk. I promise you will not be able to taste it. Make sure you add some BisQuick, coconut milk, and Oreos to your shopping list this week. 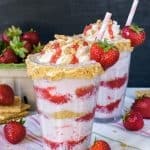 You will want to celebrate the strawberry holiday this coming weekend with these cookie shortcakes. 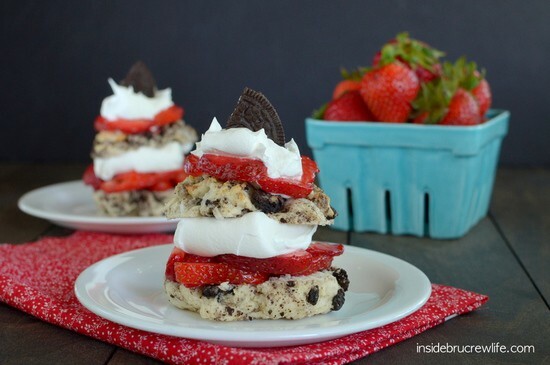 Coconut and Oreos give Strawberry Shortcakes a new and delicious twist. Drizzle it with chocolate syrup for more chocolate goodness. Combine the strawberries and 1/4 cup sugar. Set aside. Combine the BisQuick, coconut milk, 2 Tablespoons sugar, melted butter, and shredded coconut in a bowl. Stir with a fork until the mixture forms a soft dough. Add the cookie pieces and stir gently. Drop 12 spoonfuls onto a non greased baking sheet. Bake at 425 degrees for 9-10 minutes. Remove to a cooling rack to cool slightly. Slice the shortcakes in half. 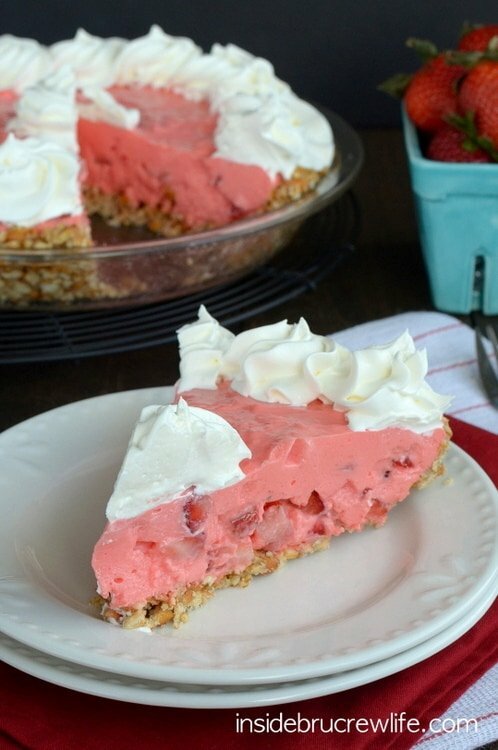 Serve with strawberries and Cool Whip. Makes 12 shortcakes. Yeah so those look pretty much amazing….great job! These look amazing! Great combo of flavors! This is next level Strawberry Shortcake!!!! I absolutely LOVE how you took a classic and made it your own! Beautiful! Mind blown! Oreos? Genius! I love them! Smacking my lips looking at this yumminess!! 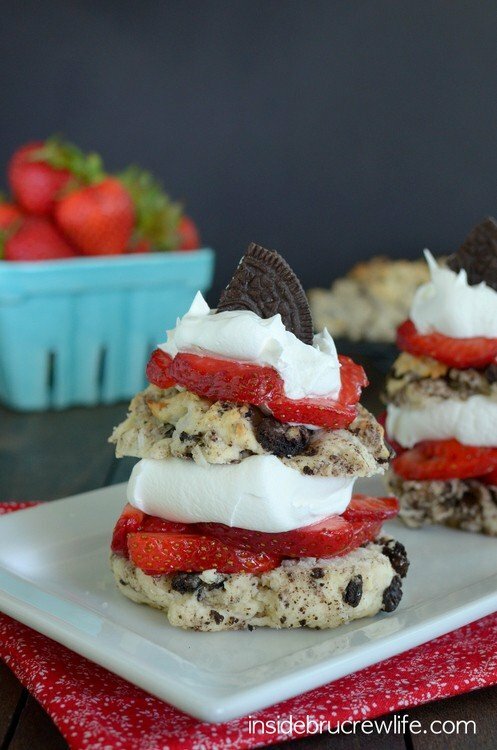 Wow, adding coconut and Oreos to strawberry shortcakes does sound like the BEST idea ever! Love these! Genius in every which way!! So fun and so good! 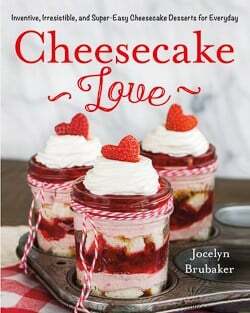 Ok, Jocelyn, you are seriously a GENIUS! Why have I never added Oreo to my Strawberry shortcake?! Not to mention the coconut. Love this idea! I love this! I wish I’d thought of making strawberry shortcake with Oreos years ago! Because it just makes that whole dessert so much better, since now there’s CHOCOLATE involved. Yes! That, my friend is downright awesome. These are so fun! I love your creativity! Have a splendid day Jocelyn. 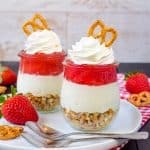 What a beautiful dessert – wonderful flavors with the coconut, strawberry and oreos – perfection! I have never seen such an inventive use of Oreos before. I mean this is quite impressive seriously. Love this! So, this is pretty much the most deliciously amazing idea ever! 🙂 Love these! Pinned & sharing. You are a genious!! Never would have thought to add Oreo to strawberry shortcake! what an amazing treat! Miss8 just saw this & her eyes lit up! I love this fun twist! The colors really pop! 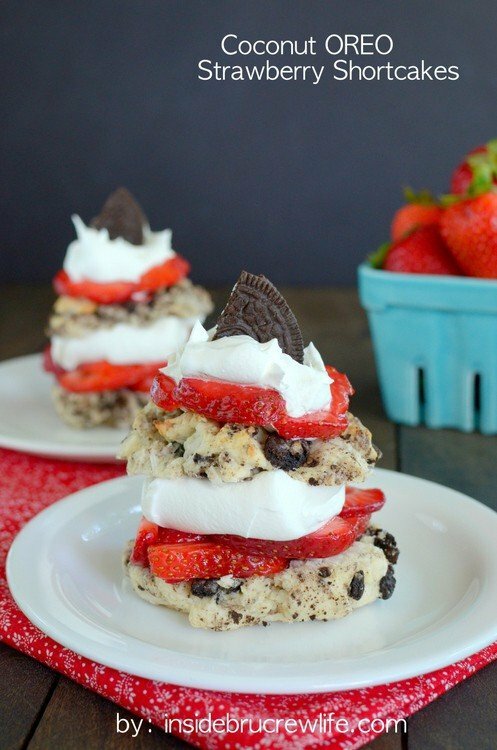 Oreos in shortcakes?? Girl, you’re on a roll! I need some of your creativity, especially if it includes Oreos. 😉 I remember the days of end-of-the-year sports banquets, and a pool party potluck sounds much better than the random pizza parlors we always celebrated at. Your dishes must have been the most popular ones there!